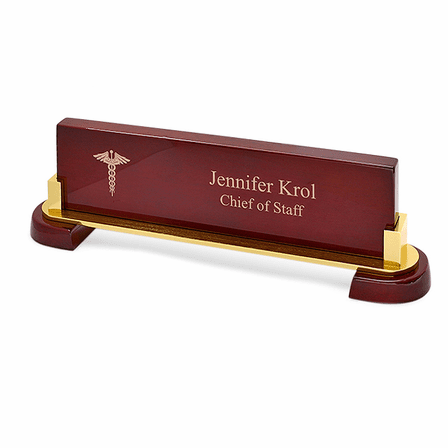 FEATURES/SPECS The Medical Desktop Walnut Name Bar is a great desktop keepsake for the doctor or nurse in your life. 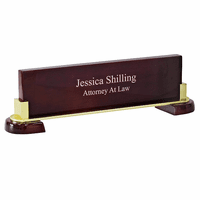 It's made of polished piano finish walnut wood with solid brass accents. The two wood bases both have felt padded bottoms to protect desktops. 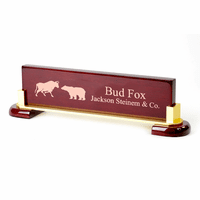 The name bar includes the classic Caduceus symbol on the left with up to 2 lines of laser engraving to the right. 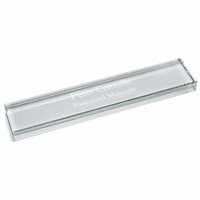 Personalization is free and this elegant name bar is packaged in a gift box for a beautiful presentation. 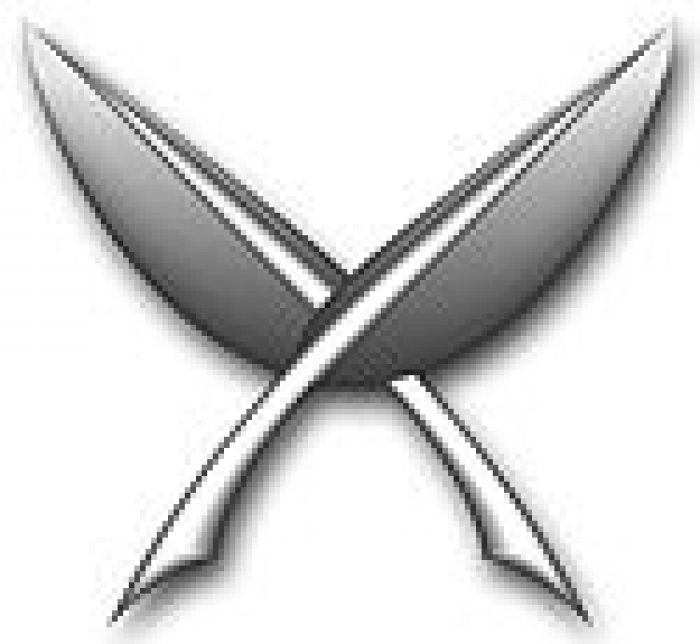 I was wondering if you could use the symbol I attached. I am in the Navy and that is my rating badge (Yeoman). We should be able to but we would need it in black and white only format, there can't be any grey. Do you have it in that format? I was trying to fit my wife's name on this and was wondering if it would be possible to move the caduceus more to the left. Yes, we'll move the Caduceus symbol over to accommodate the entire name. Don't worry if the preview cuts the name off, we'll make sure the whole name is engraved. Can this be customized for a Dr of Veterinary Medicine and include the veterinary symbol? Yes, it can, can you email the symbol to us? When you place your order, let us know in the comments section of our checkout page that you are having it engraved with the veterinary symbol instead of the Caduceus symbol. Please let us know if you have any questions. Thanks! perfect gift for my sons graduation from medical school. The wood is georgous and the engraving fabulous. Awesome looking name bar....and quick delivery!!! This item is well made, high quality, with a nice weight. I received this package faster than expected. This is a perfect gift item for your favorite physician. After doing a lot of research online, I decided to order this Medical Desktop Walnut Name Bar for my niece who just graduated and was licensed as an Advance Practice Nurse (APN). I absolutely made the right choice with this item. It is extremely well made and absolutely gorgeous! The picture on the website does not do it justice. It is beautifully crafted and the lettering is perfect! It is an elegant, quality piece unlike some others I looked at. My niece was thrilled with it! The customer service was outstanding as well. Although I expected to receive it in 5-7 business days, it was actually delivered the very next day. I'm not sure how they pulled that off, but wow!! The name plate was well packaged and secure. I could not be more satisfied with my purchase and am now going to see if they offer a matching business card holder. I will most certainly do business with this firm again anytime I need something of this nature. Well done Executive Gift Shoppe! You truly exceeded my expectations! 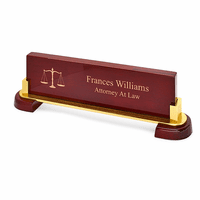 Pros* Well made quality name plate * Classy and elegant * Very quick delivery * Worth the price!